MS310 Sunglasses size 5 ¾” x 1 5/8”. 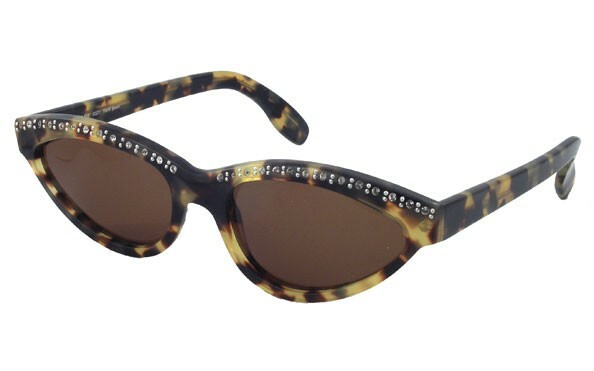 Cat eye shaped gorgeous sunglasse for women . A strong fashion statement. Adorned with Sworavski crystal. Glamorous and glittering, reminiscent of Hollywood in the 50’s. 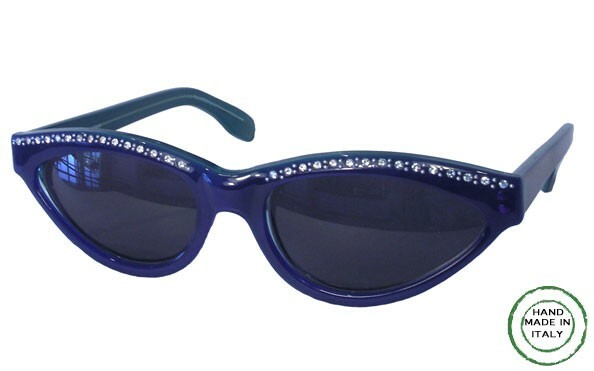 Tinted lenses with UV-400 ultra violet protection. Also Available as EYEGLASSES. Made in Italy.